If you have ever had a real, chewy, mouthwatering bagel from a bagel store, then you know how good a bagel can be. 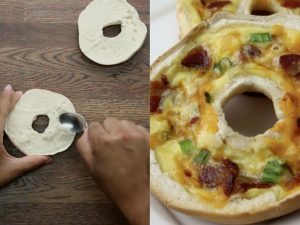 Now, you don't have to settle for packaged bagels which don't taste nearly like the real thing- you can make your own! 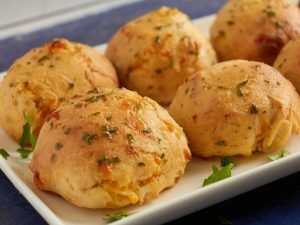 This recipe is based off of New York style bagels which require you to boil the dough in water before baking it. 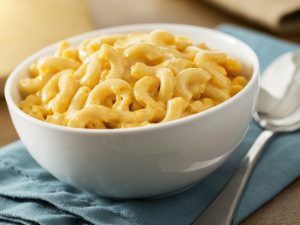 This gives the bagels and extra chewy crust that makes them so amazing and better than anything you can buy in a grocery store. This recipe is also very versatile and you can easily knead in raisins, sundried tomatoes or any kind of herbs you'd like! Feel free to also play with different toppings for the bagels such as sesame seeds, poppy seeds or onion flakes. In the bowl of a stand mixer, combine the yeast, sugar and warm water. Stir briefly and let the mixture sit for at least 5 minutes. The yeast should be foamy and full which will also indicate that the yeast is good and alive. Once the dough has risen, punch it down and flip it out of the bowl and onto a floured work table. Cut the dough into 8 even sections. Bring a large pot of water to boil and place the bagels into the water. Boiling the bagels in batches, 2 or 3 at a time is recommended to ensure that the water temperature doesn't drop and the bagels do not stick together. Boil the bagels for about 1-2 minutes of each side, flipping them with a slotted spoon. Remove from the water and place them back on the sheet tray. If you would like to use a topping for the bagels, brush them with a simple egg wash and sprinkle on whatever topping you choose. If you would just like them plain, then no egg wash is necessary. Bake the bagels in a 425 ̊F oven for 15-20 minutes or until they begin to slightly brown. Remove the bagels from the oven and transfer to a cooling rack. Enjoy while warm or tightly wrap the bagels for later. 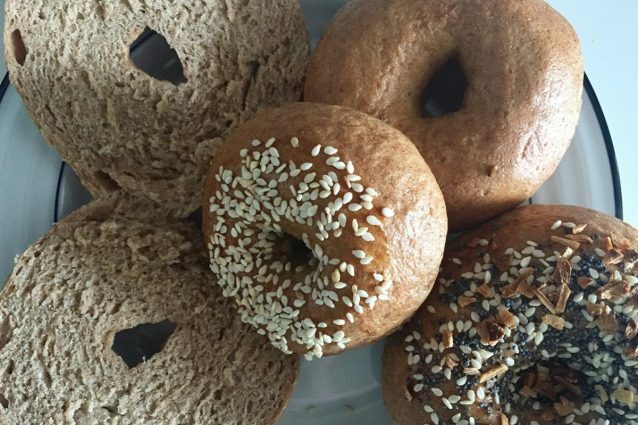 You can also freeze the cooked bagels individually and take them out whenever you need a great breakfast! -Bagels are always best when made the day that you plan on eating them. However, you can make the dough up to step 3, wrap the dough and put it in the fridge overnight. In the morning, the dough will have slowly proofed and it will be ready to divide and roll into bagels. This will save a little of the waiting time in the morning! 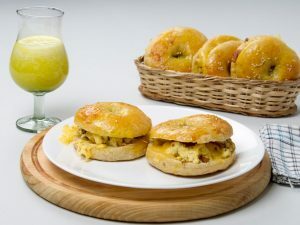 Eggs Benedict: a perfect breakfast recipe!